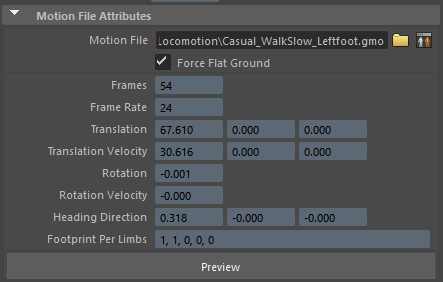 The Motion Clip Preview is a dockable tool dedicated to the preview of any Motion Clip currently in the scene. 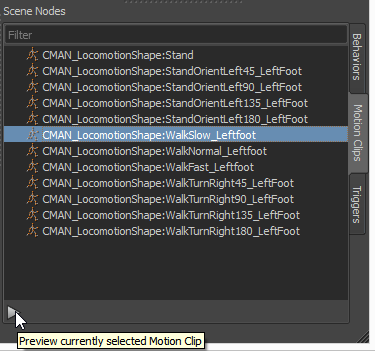 In the Behavior Editor Nodes Outliner, select a Motion Clip in the Motion Clips tab and click on the or Ctrl + Double-click directly on the desired Motion Clip. The Motion Clip Preview is divided in two. 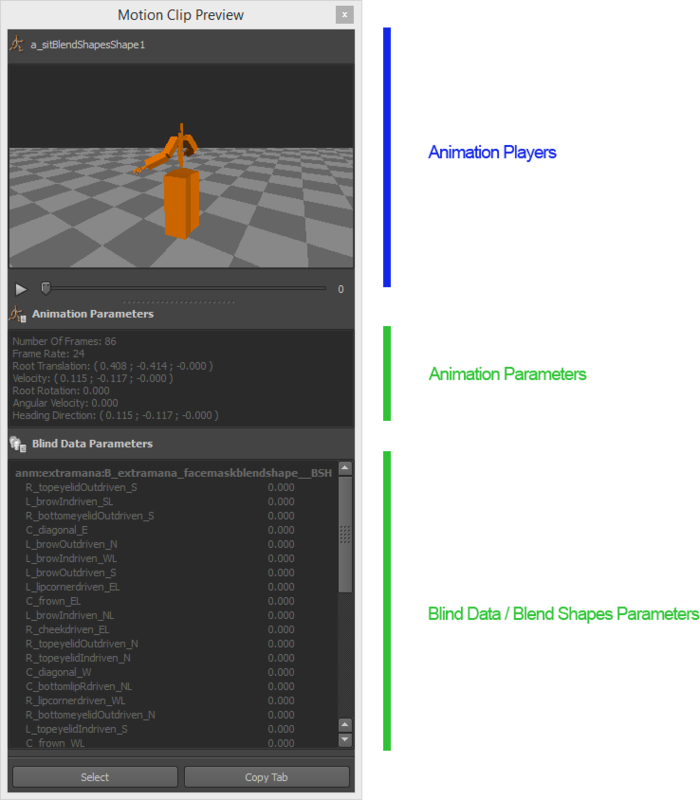 The top part contains the Animation player, composed of a 3d view and a time line, the bottom part contains the animation properties and blendshapes properties (if blend shapes in the animation). The Animation player also displays footprints if there are any.